This has been quite the interesting week… For one, I dyed my hair the most extreme it’s ever been. I was so nervous what everyone else would think about it that I didn’t even know what I thought of it! It turns out that a lot of my MK ladies like it, which kind of surprised me, but I’m glad. Of course my “beastie” (bestie) Jamie loved it…. I can always count on her for these things. I already had my hair dyed black/darkish brown, so I had to use hair bleach to take out some of the color for the red to show. I decided to do red highlights. 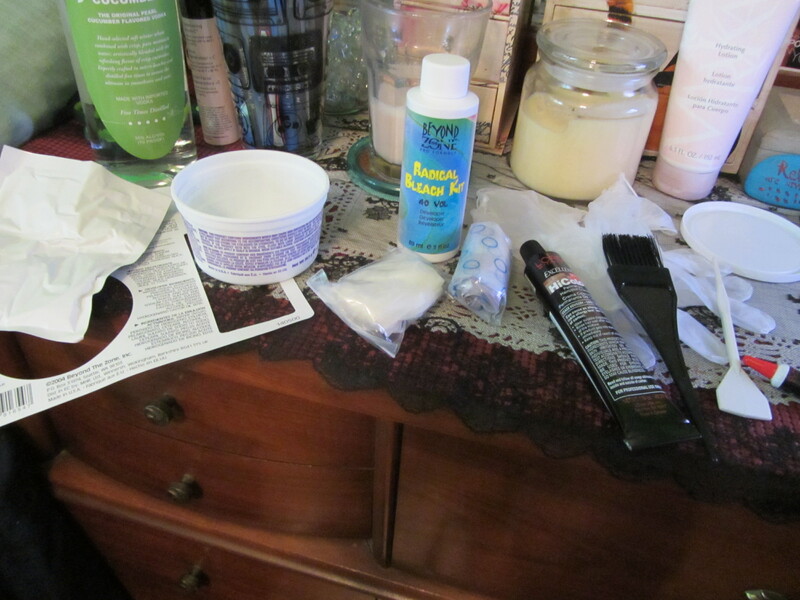 I honestly have no idea where I even came up with this whole idea… after work on Tuesday I went over to Sally Beauty Supply and got some professional hair dye without a clue what I was planning on doing with it. So then on Wednesday when I had some spare time and some idea what to do, I bought some bleach and developer and had at it. At some points it was quite frightening and others it was exhilarating. This was the first time I ever bleached my hair or used the professional hair dye, so it was quite the learning experience. I also went to Ulta… if you are trying to save money, do yourself a favor and don’t set foot in this store, because it is awesome. I went in to get a curling iron and decided on the Bed Head “Curlipops.” Seems pretty fun and I tried it for a couple chunks of hair before I went to Jamie’s and it looks pretty cute. I can’t wait to try it some more! Of course I couldn’t make it out of that store without getting something more and the Katy Perry eyelashes got me in the checkout line… dang. 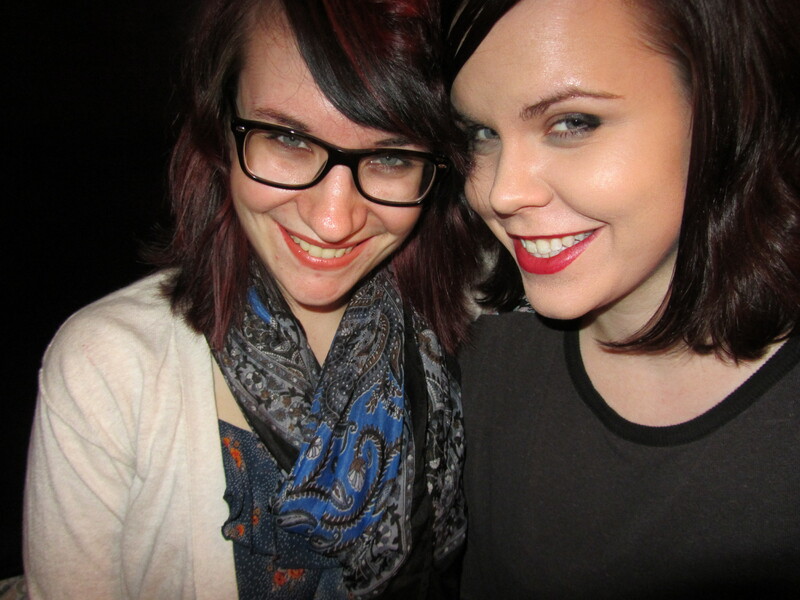 Jamie and I like to try new restaurants in Milwaukee lately, so we went to Trocadero’s last night. We almost didn’t go because I wasn’t sure they would have much vegetarian food, but I am sooo glad that we did! 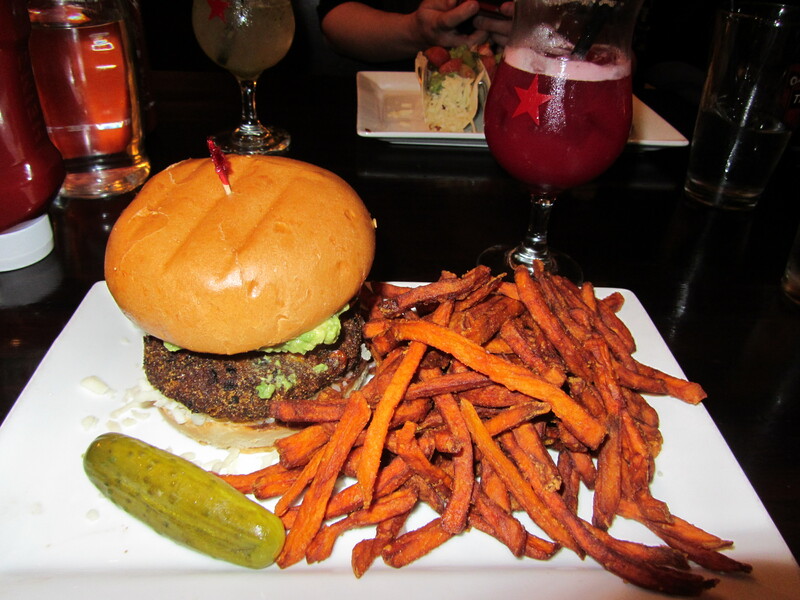 I had the Spicy Black Bean Mamacita Burger with sweet potato fries… the burger had chihuahua cheese (so yum! If you haven’t tried it, go get some from your local Mexican grocery store! ), guacamole, yellow cherry tomatoes, and green tomatoes. We got margaritas from their extensive drink menu; I got the Blood Orange and Jamie got the Jalapeno Cucumber one. They were pretty good! We will definitely making a repeat visit. 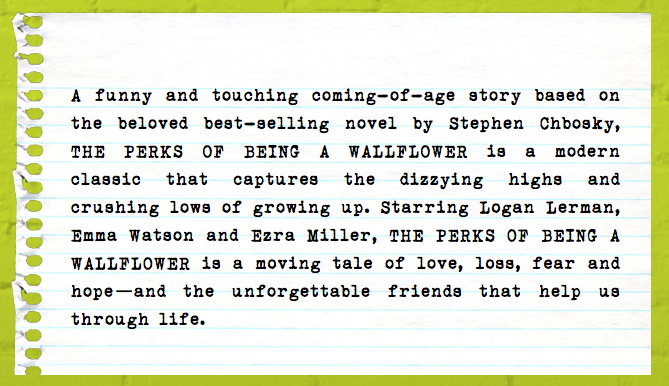 I am so stoked to see “Perks of Being a Wallflower” and it’s almost here!! For the lucky ones who live in New York or Los Angeles, you can already see it. It is also available in select cities September 28 — this Friday! Otherwise you have to wait like me until October 5th. It will be well worth the wait. I was actually really excited to see it on September 21st because I thought it would be everywhere. Jamie and I were actually considering making a trip to Chicago to see it early. 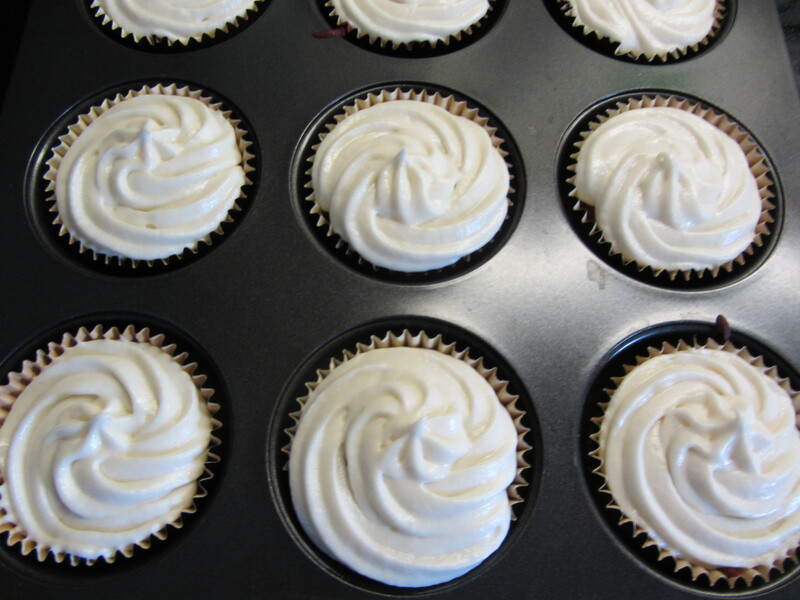 Wednesday night was our Mary Kay Fall Product Preview and I made Raspberry Red Velvet Cupcakes! They were quite the hit with the consultants and guests alike. I was so worried that they would be too dry or something wouldn’t taste right because I didn’t have the chance to try it beforehand. I’m just glad everyone enjoyed them. I found a recipe from Pinterest and had at it. 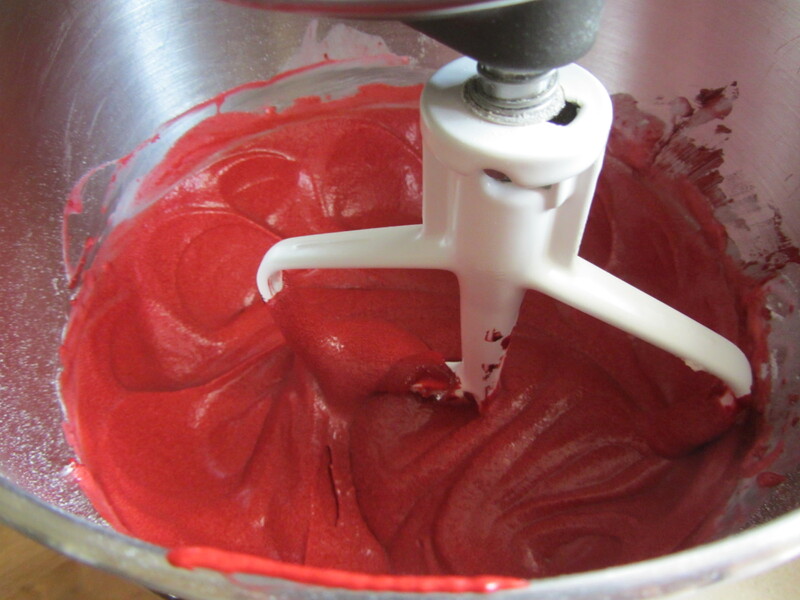 This is the original Red Velvet Cupcake recipe that I used. I am not that talented to develop my own recipe as complex as that, so props to her. I got these in the Christmas clearance section… can’t beat 50 cents! I like to shop the clearance section after Christmas and other holidays. 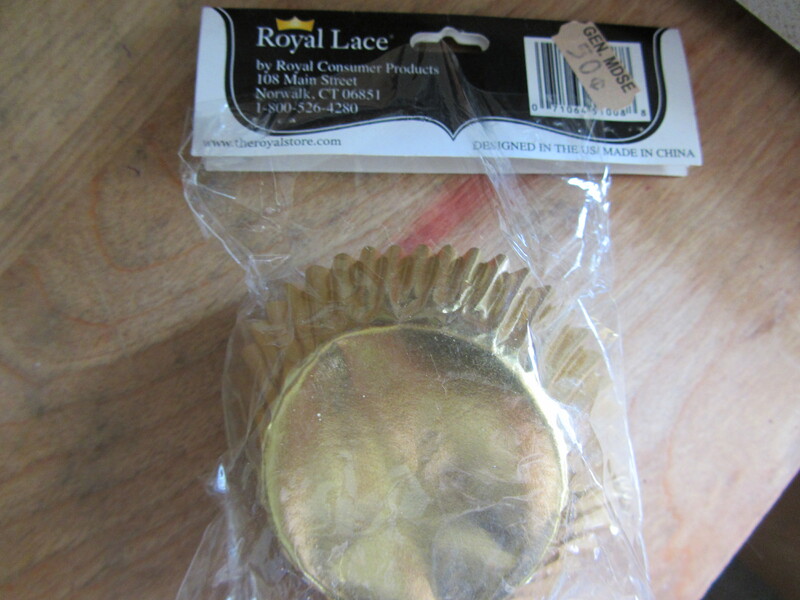 These muffin tins are one of my finds… aren’t these normally about 2 bucks or more? 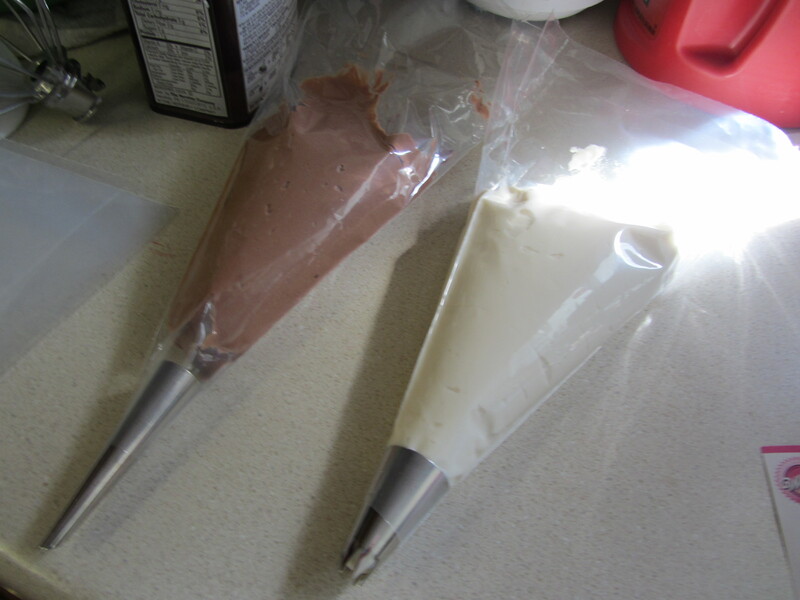 cake decorating tips, bags, and directions! 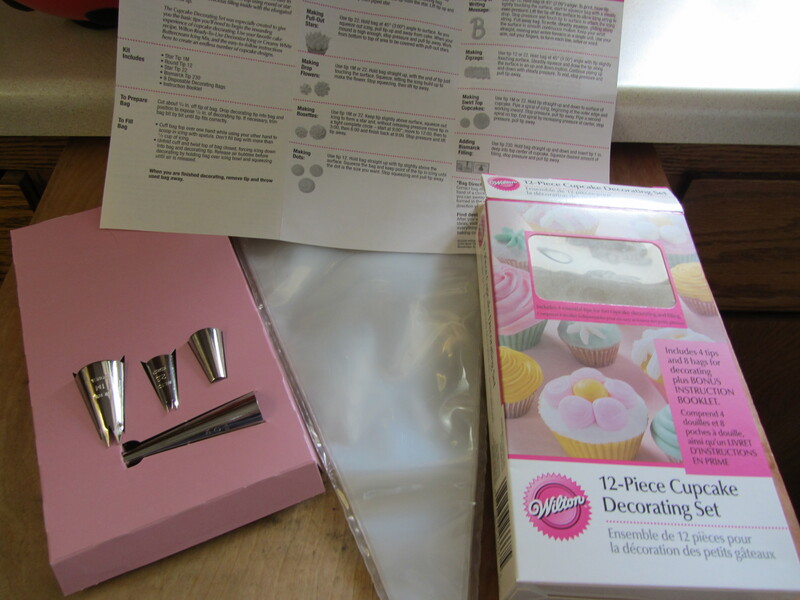 The decorating kit came with some tips, one for putting filling in the cupcakes! I was pretty excited about that, so I decided to give it a go. 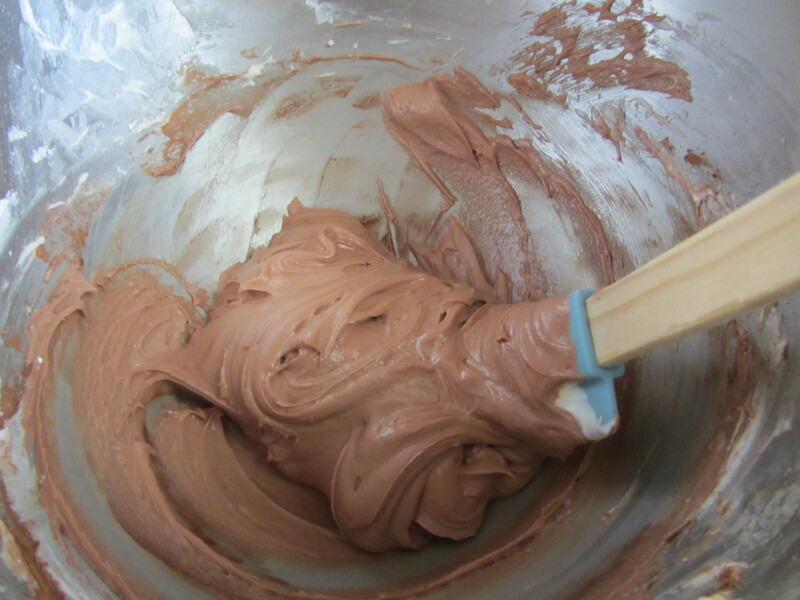 The filling was actually just the same cream cheese frosting in the recipe, except with a little added cocoa powder. 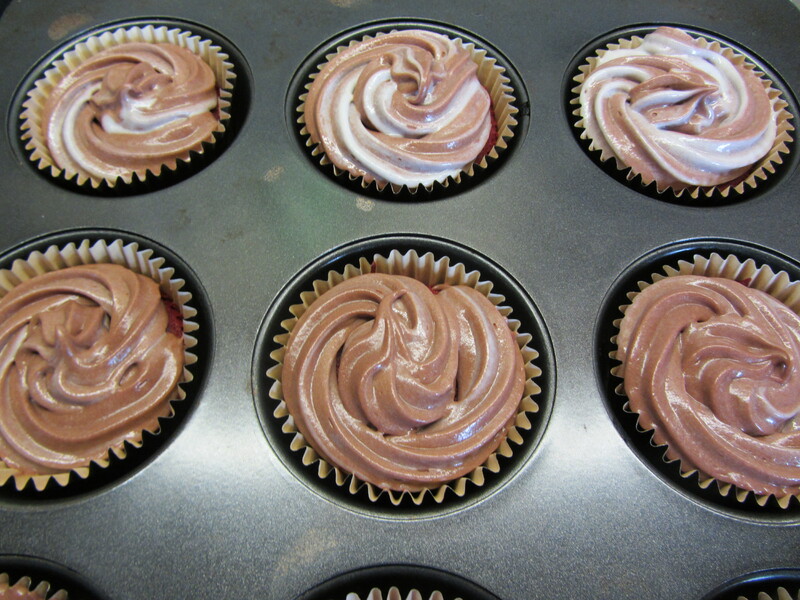 Making it chocolate was my sister’s idea… I also added more raspberry flavoring to the frosting. 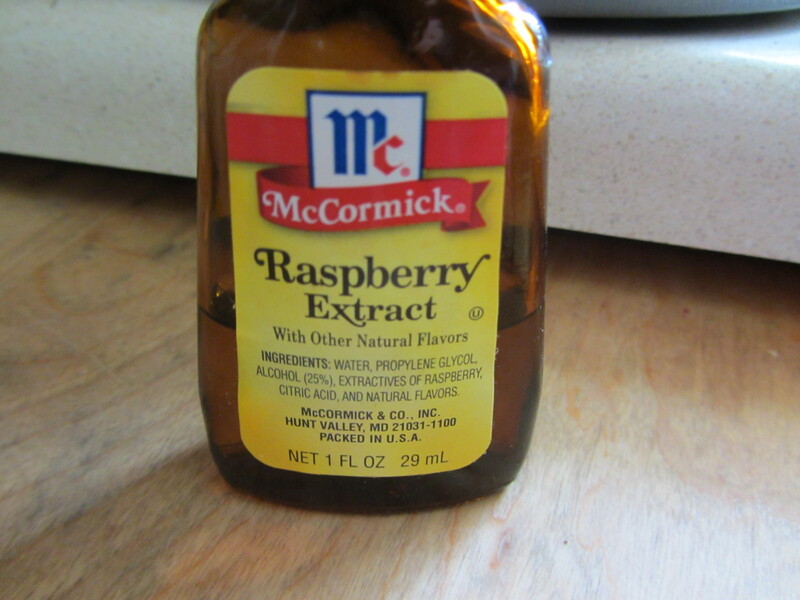 I love chocolate raspberry anything, so this was heavenly. I’m pretty impressed with myself that they turned out so well! 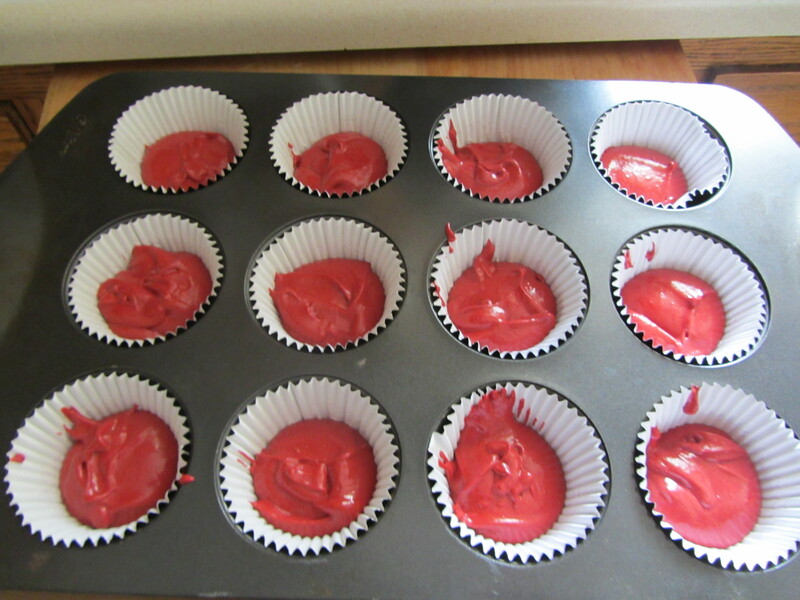 When I think of frosting cupcakes, I think of this time that I made Red Velvet Cupcakes with a bad recipe and then proceeded to frost them all crazy and ridiculous colors and flavors…. It was quite the colorful mess. This is the dress I wore to the Product Preview. 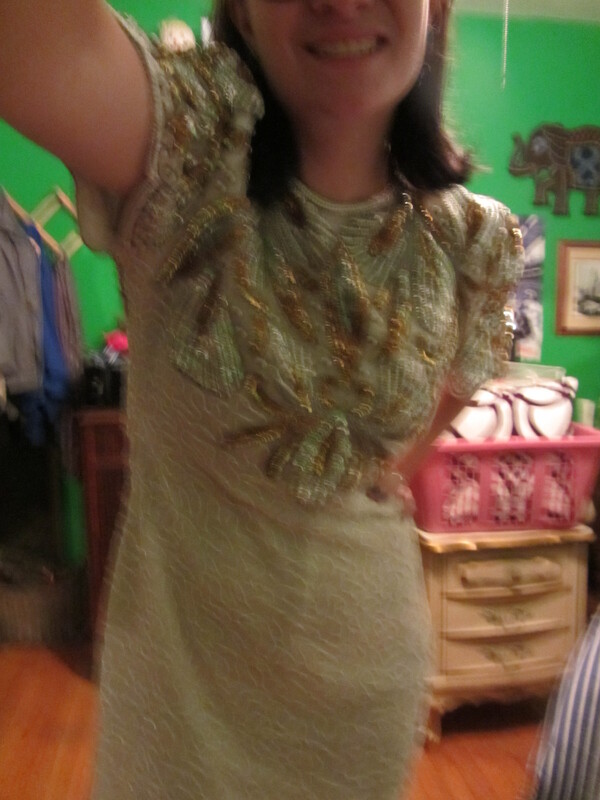 I got it at Goodwill of all places…I had no idea what I would wear such a thing to, but I couldn’t pass it up. It reminds me of The Great Gatsby, aka one of my favorites. 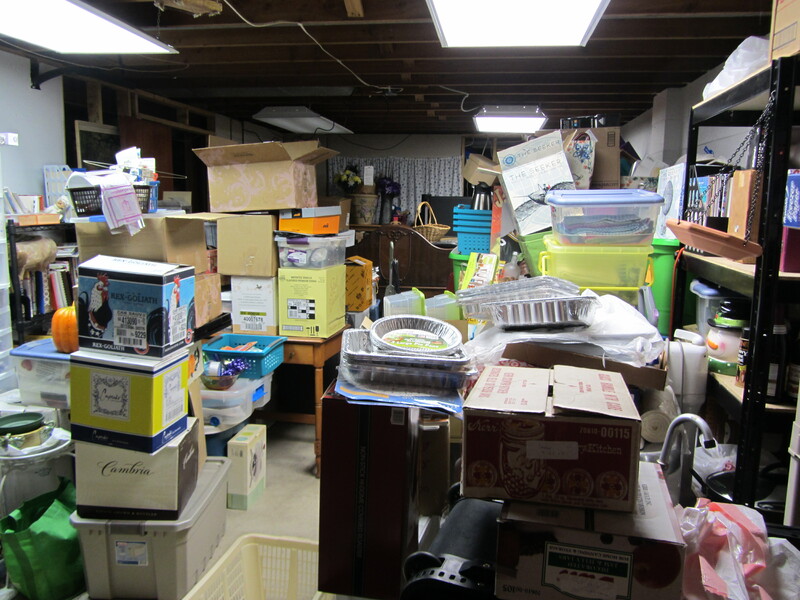 Those frightening photos are the “before” of my basement. It literally took me all day to make a considerable dent! 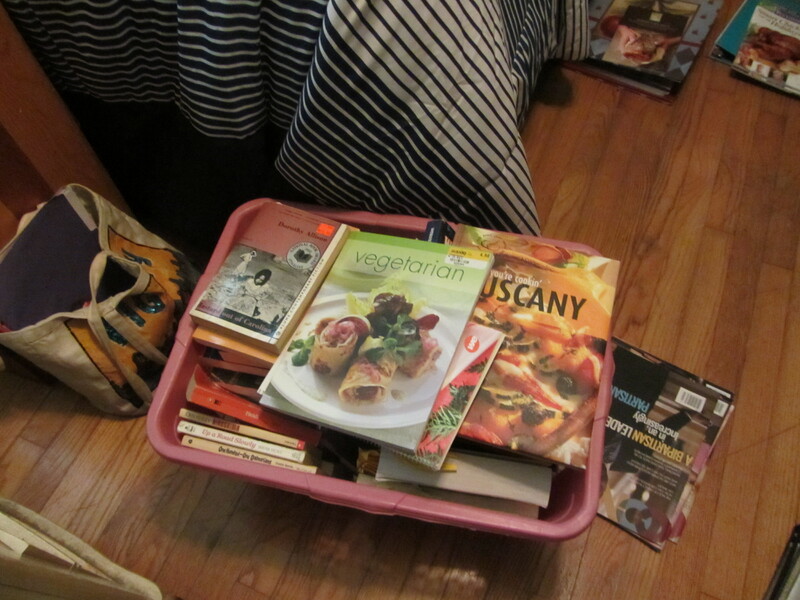 After I graduated college, I had bins upon bins of dorm room and cooking things. The easiest way to deal? 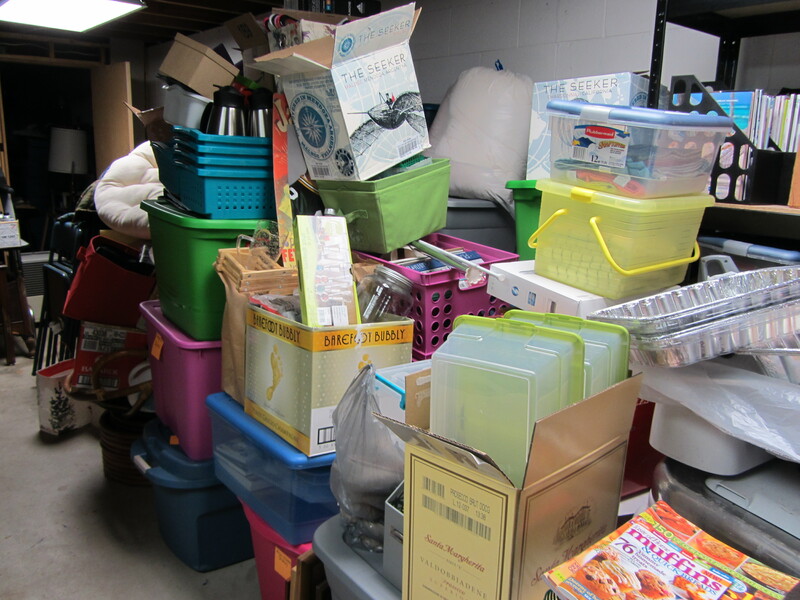 Throw it all in the basement where no one will see it… can you blame a college kid? I definitely have too much stuff! I still have a bit of work to do, but all in all, it was a success. 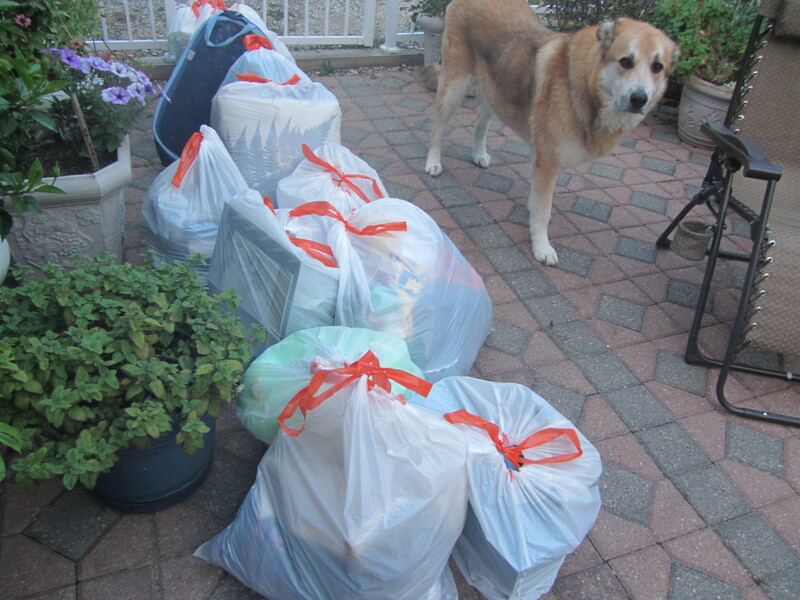 I got rid of tons of clothes that I was hoarding, some with sentimental value mostly from high school, and some that I thought I might need for later. If I don’t use or wear them now, I probably never will. This kind of reminds me of helping my friend, Jamie clean out her room at her parent’s house before she moved out to her own digs. 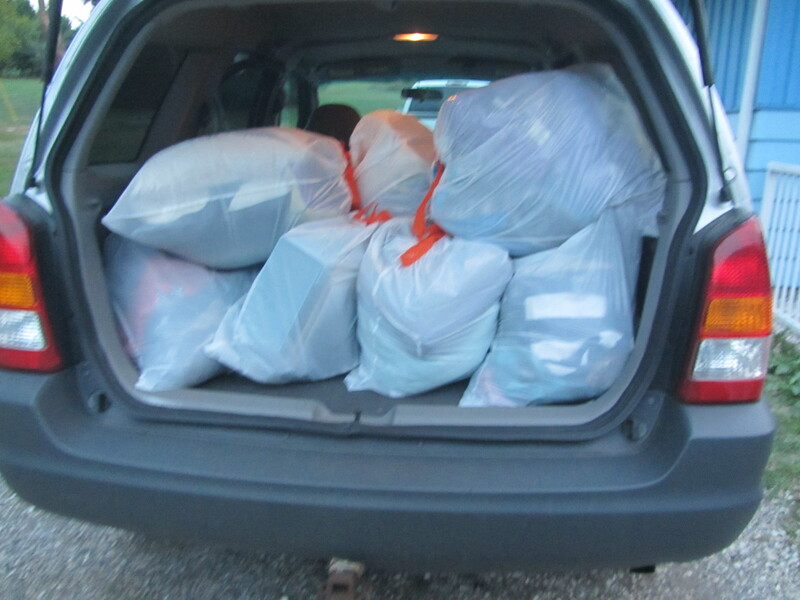 We ended up with about the same amount of stuff in garbage bags to donate. It looks like I am also guilty of not throwing things out! I’m hoping all my stuff will be put to good use instead of sitting in my basement! 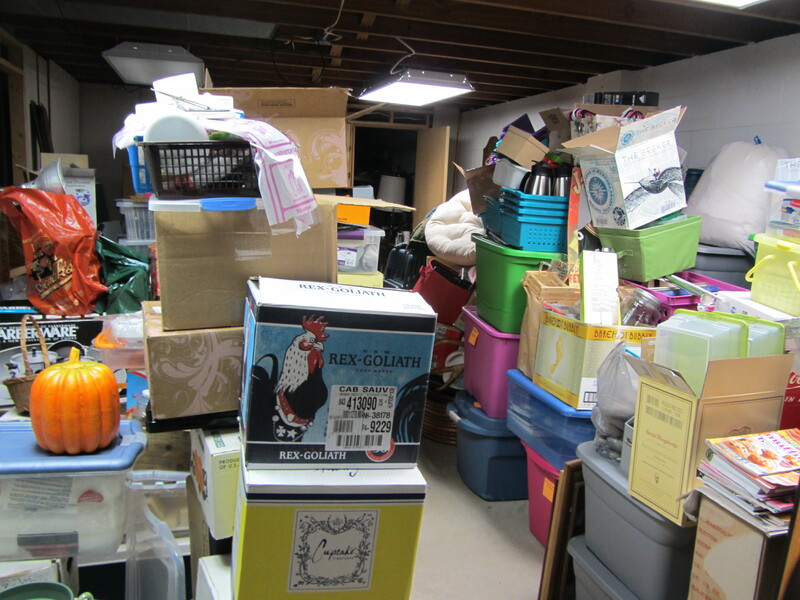 Also, as the basement is still a work in progress, I will post the “after” photos when it’s completely done. I also went through my bookcase and got rid of all of the old philosophy textbooks, literature class materials, and other books that I won’t read again. First I took about three boxes worth to Half Price Books to see how many they would buy and I was pleasantly surprised… $42! The rest of the ones that didn’t sell, I took to the Delafield Library so others can read them. All those books came off of here! So much better! 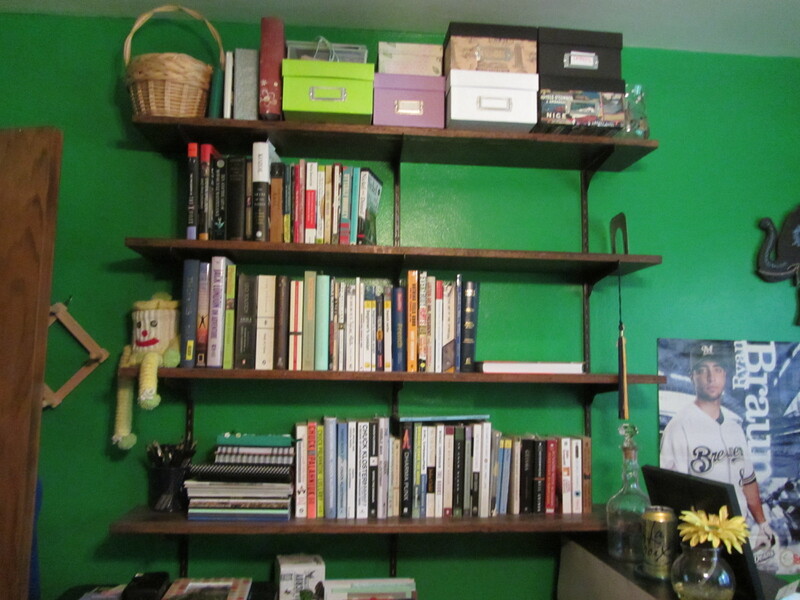 It’s so nice to see more of my green walls behind my bookshelf. I really hate clutter, but I find it really hard to get rid of things, so this was very monumental. It’s amazing what we hold onto because of sentimental value or the emotions attached to something. 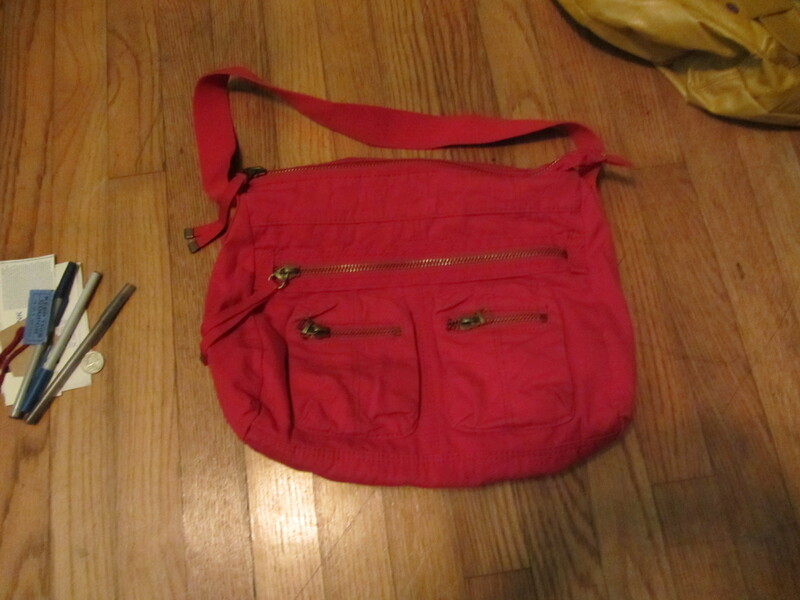 I’ve had this purse forever and I finally got rid of it. I just got it when Brian and I started hanging out more, just before we started dating more than four years ago. I remember I went to this astronomy presentation which was incredibly boring and I kept thinking about how Brian’s knee touched mine while we were listening to this astronomer drone on. It sounds so silly, but every time I went through my stuff to get rid of more things, I couldn’t bring myself to get rid of this purse. It’s not something I would ever use again, but I couldn’t do it. Until now. It helped to think of how getting rid of a majority of this stuff would benefit Brian and I when we move into our own apartment next year. How much easier moving will be if I don’t have tons of stuff. How much more beautiful our new place would be if it wasn’t cluttered. This is what keeps me moving forward and ready toss the unnecessary. 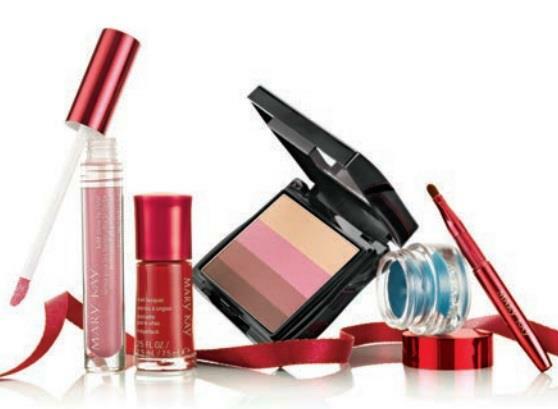 It’s the Hollywood Mystique Collection! I love all things “Old Hollywood” and I love wearing bright, bold colors, so this is perfect. 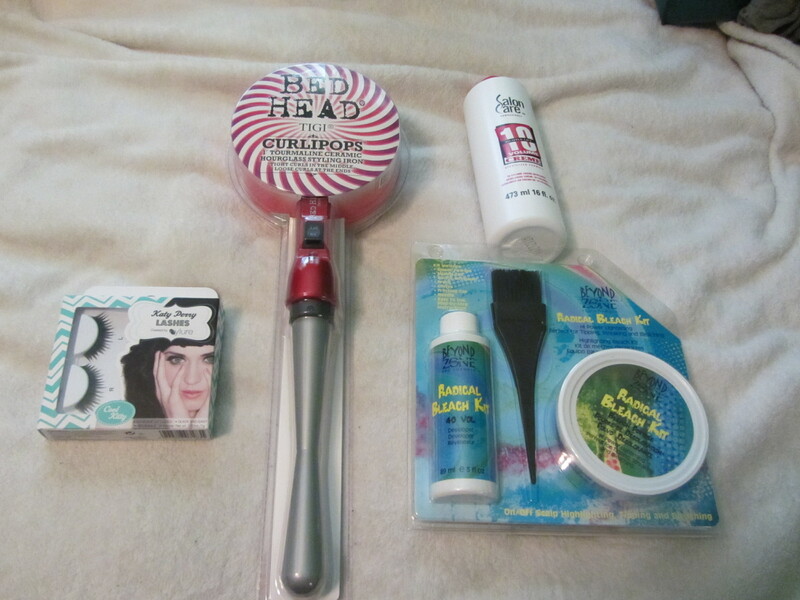 The new products I’ve been trying! Love it already! The new “Hollywood Mystique” Fall 2012 Collection! What are you most excited to get your hands on and try?? If you are in the Brookfield/Milwaukee area, we have our Fall Product Preview on September 12th at 7 p.m. where we will have the new products for you to try, raffles for prizes, food and fun! Let me know if you are interested and I can give you more details! 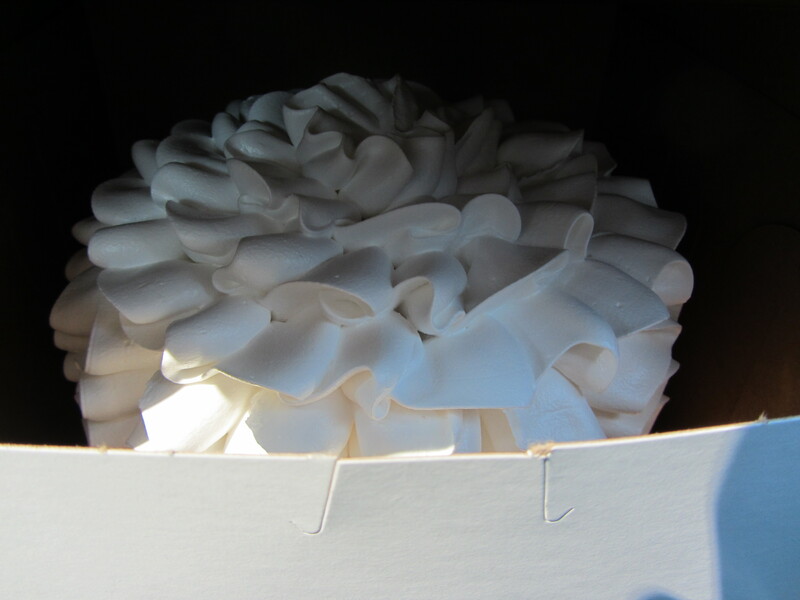 Today we got our sample wedding cake… and it was quite a productive meeting! Brian’s neighbor has a cake shop in Germantown and she is giving us a discount! I have been pretty good about finding wedding discounts… cake, photography, save the dates (that we will have to scrap because we changed our date, but still….) I’ll have to do a whole other post on wedding discounts! a peek of the cake! Brian and I met with Christine to talk about what kind of cake we wanted and just hash out some other details. 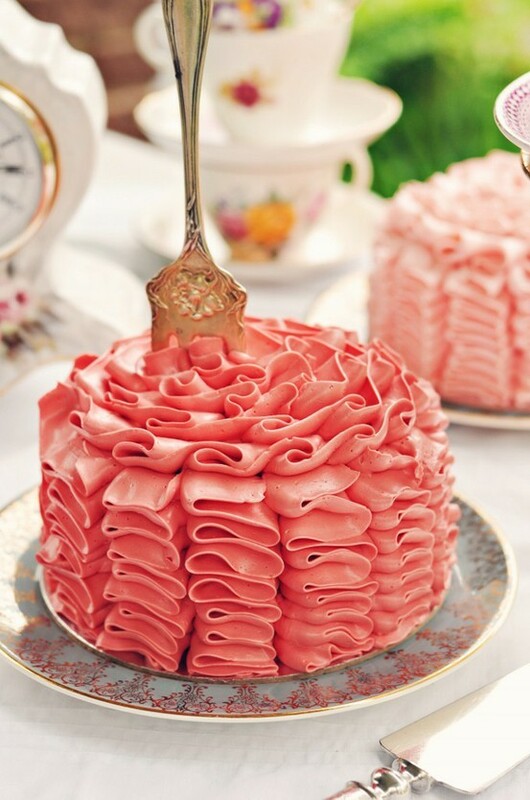 At first we wanted to just have a white cake with white designs on it because it wasn’t that big of a deal to us, but now I think we are going to do something fun and out of the box… but we showed the cake designer the coral cake below, and she asked if we wanted her to whip it up really quick so we could see how the ruffles would look. ummm, yes! 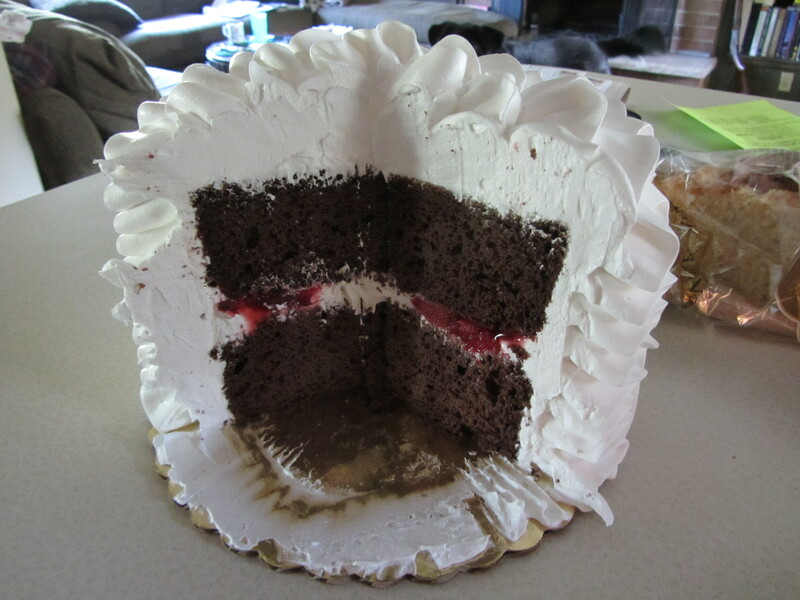 Brian was very adamant on getting chocolate cake with cherry filling because he loved the black forest cake he had for his high school graduation that was from cake and bake. I kinda wanted red velvet cake, but we are going to compromise and he will get to pick the flavors and I will pick the design and look of the cake since that’s what is important to us. it was very yummy to say the least… yum! 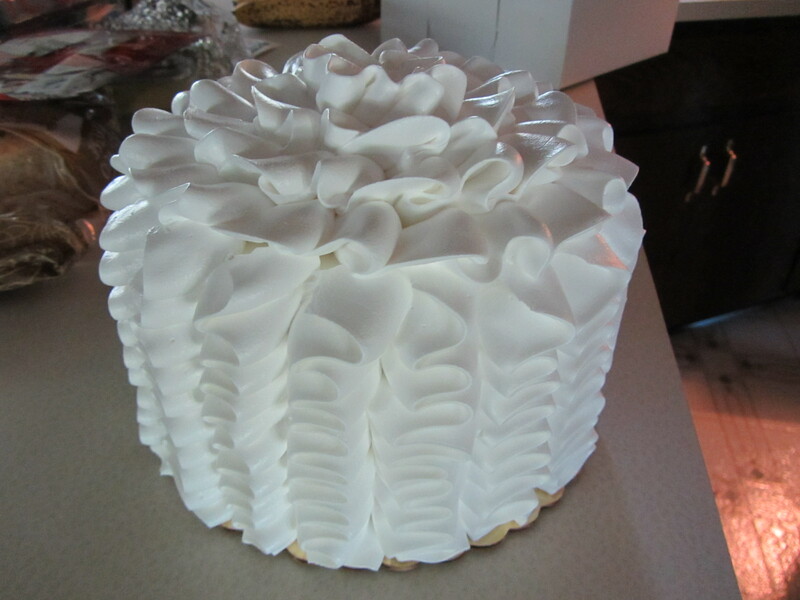 When we got it home to try, I cut really big pieces kind of on accident… we got the non-dairy whipped topping because it is better for the hot summer months and with the ruffles it is A LOT of whipped cream!